Guess who is a SUPERSTAR student?! 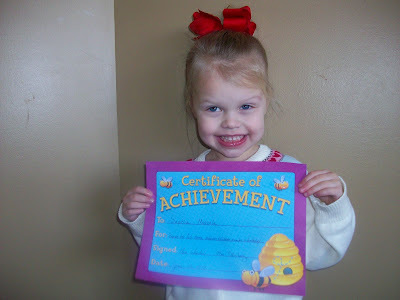 She came home the other day with a "Certrificate" from preschool. I knew exactly what it was before she pulled it out of her backpack. I knew that this was what she so excited about because we had been practicing all of her "personal information" at home the weekend before. Then, sure enough, her first day back at school after our practicing, she comes blazing out of the double doors at preschool smiling ear to ear with some very good news! 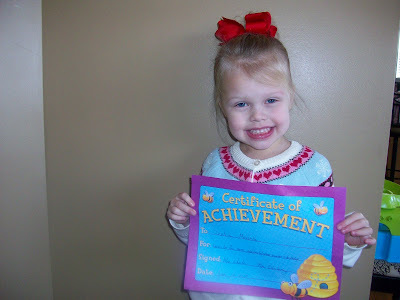 The second one in your entire class of 3 year olds to get this certificate! Speaking of Sophie, I made her a fun little t-shirt dress for her to play in. 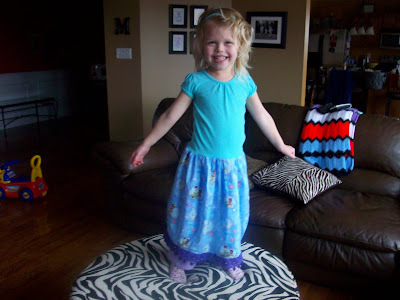 She wanted it "floor length," and Princess and the Frog, of course. fun Princess and the Frog themed party. 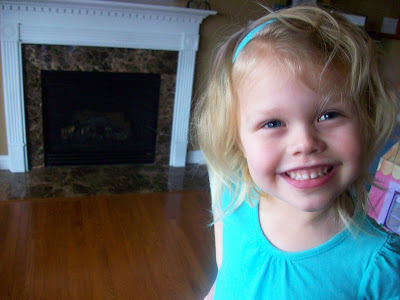 Can NOT believe she's turning four. Even made a little headband to match. And another shot of a recent project.... I finally got around to making Sophie a recycled t-shirt dress of her own, after making Mia a Michigan one. Sophie's is made out of Steve's old shirts and she loves it. She calls it her "Daddy Mazz" dress. Way to go Sophie! And, you rock with your awesome sewing! 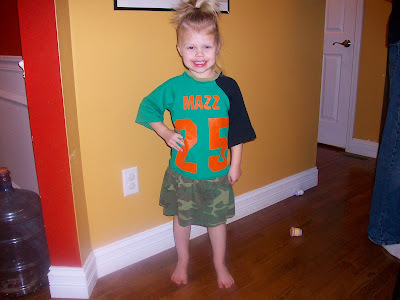 LOVE, LOVE, LOVE the "Mazz" tshirt dress. How precious. She looks so proud. My girls would go crazy over those t-shirt dresses. Awesome job, love her smile! The t-shirt dress is darling!